We have been busily working away on our house these last couple weeks trying to shore up a few incomplete projects and rooms before bambino #2 arrives. We have a few details to finish and then we move on to the nursery. When I was pregnant with Little A we didn't really get a nursery ready ahead of time, but somehow it seems more necessary this time around. I feel like a space is needed to mentally prepare Little A and myself for the changes coming. With all the hubbub around here Little A and I needed morning to slow down. 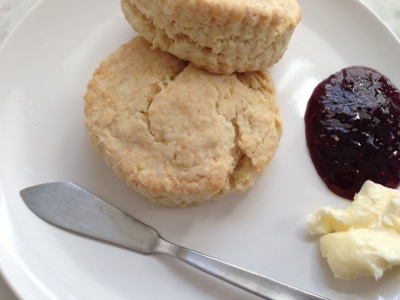 So we made buttermilk biscuits and ate them with butter and preserves. Yum! 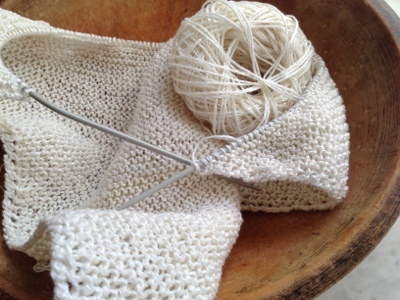 Then on to Legos and some knitting, a light linen blanket for our summer baby.